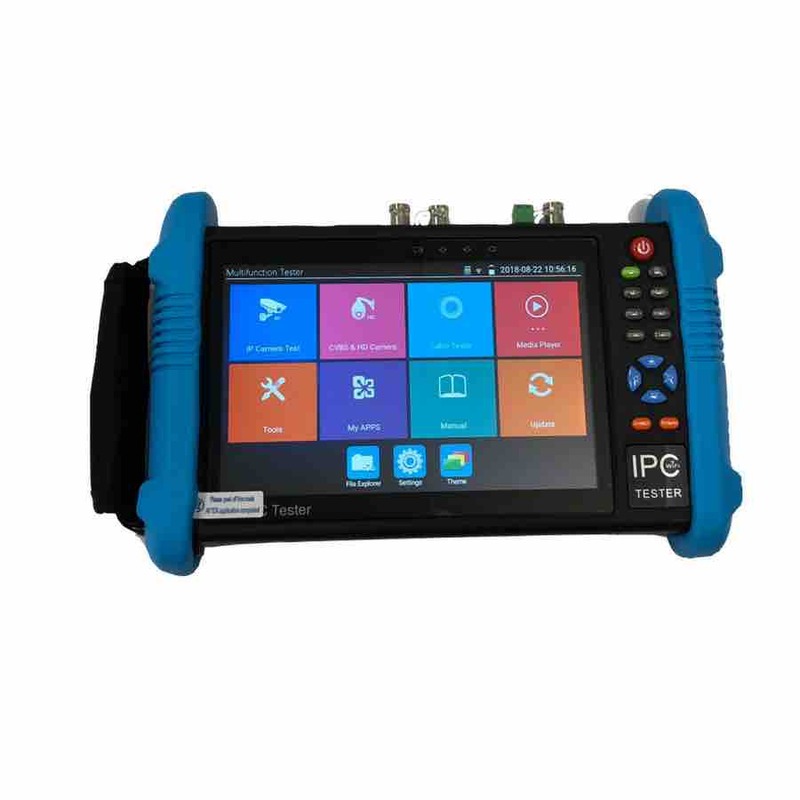 ANT-TEST600D is an All In One Universal IP Camera & ONVIF, AHD, TVI, CVI Network Cable Tester with HD-SDI, HDMI, CVBS Connections & Battery Powered PoE & DC 12V for Power Testing. 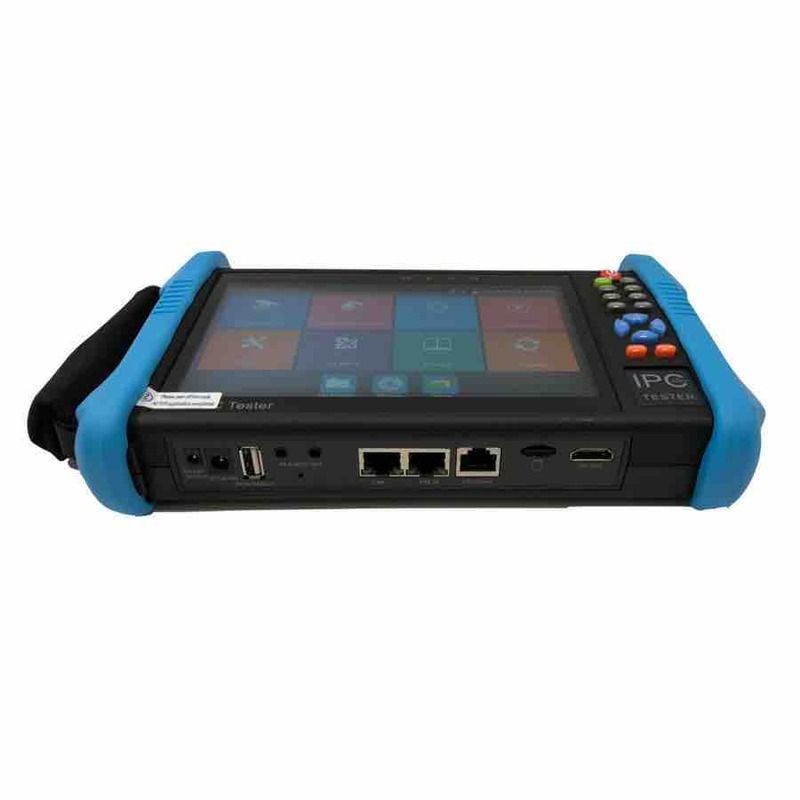 This handy all in one tablet style product will test any CCTV / network signal without the need for a PC or laptop. Easy to use while being robust & compact to carry around, it makes every installer's job that much easier. 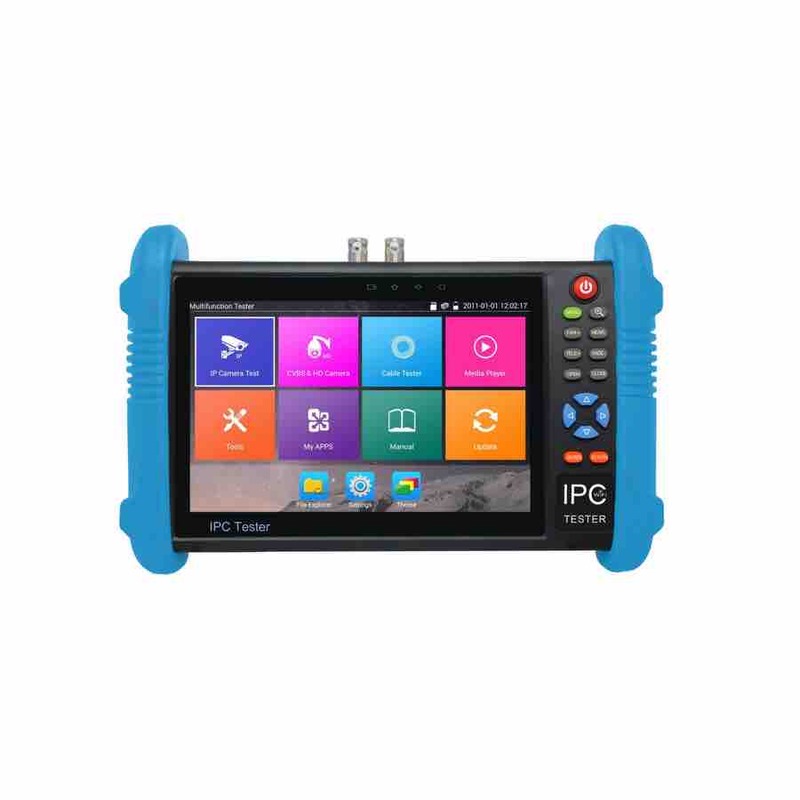 A 7″ touch screen display with a resolution of up to 1200 x 800. 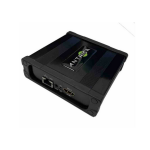 Supports H.265 & H.264 in resolutions up to 4K. ONVIF & analog PTZ control, 4x zoom in video, screen shot with record & playback. 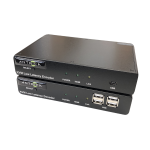 Test network bandwidth, FTP server along with Hikvision & Dahua test tool. Rapid ONVIF discovery & easily create test reports. Cable tester and network ping testing. 8MP TVI, 8MP CVI, 5MP AHD Test. 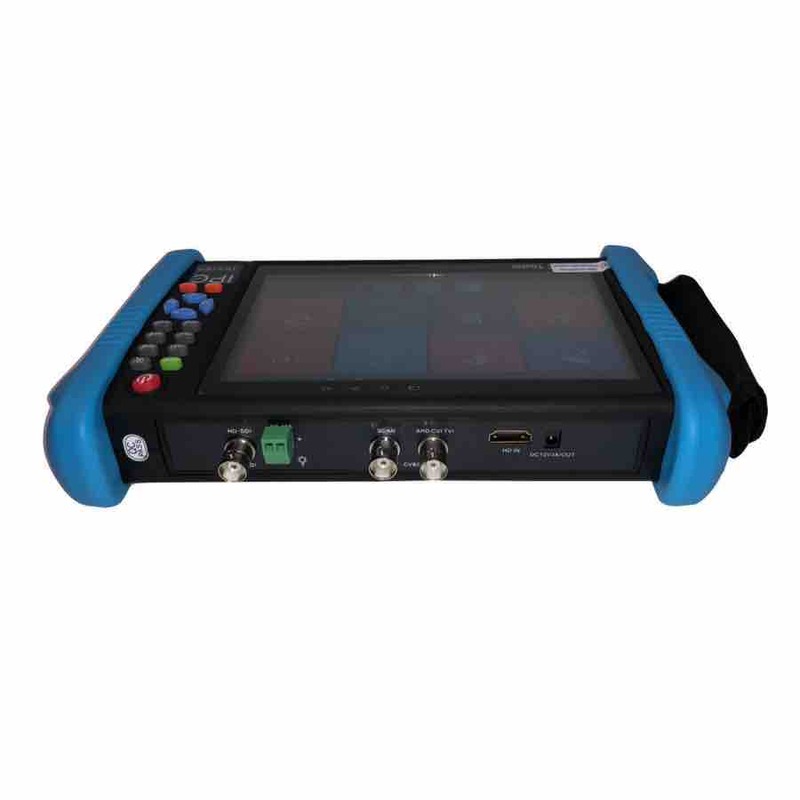 Multiple & varied connections available – 3G HD-SDI / EX-SDI testing, HD-SDI, HDMI, Composite, BNC. Along with inbuilt battery powered PoE & 12v DC power available to test cameras without access to power. Embedded player plus VLC and other Android apps. Many other features!